Whether you simply need a small, compact hydrostatic test pack, or a high / low system complete with all the bells and whistles, Pneumatic and Hydraulic Company has the high pressure testing equipment rental you need. Our ever-growing rental fleet allows us to provide you with an array of pneumatic control rentals, pneumatic system rentals, hydraulic tool rentals and more. When you pair that with our 24/7/365 customer service, why would you go anywhere else for your high pressure testing equipment rental? 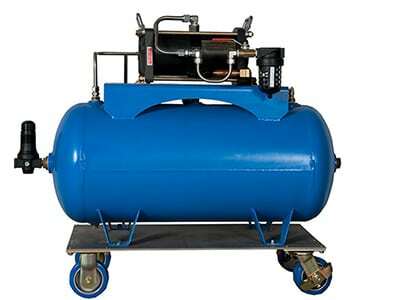 Why Rent from Pneumatic and Hydraulic? Our mantra is “Service Beyond All Expectations”; we live and breath it. We know that getting your job done, on time and on budget is what is most important to you, and that getting the equipment you need when you need it is vital to achieving that goal. This is why we offer same day, competitive quotes on our high pressure testing equipment rental. What’s more, all of our equipment is fully tested and ready to operate, saving you time, money and headache. Give us a call today, and find out for yourself why our customers enjoy working with us. Pressures up to 35,000 psi. Pressures from 100 – 60,000 psi. City water or other approved liquids. Single or multiple pump designs. Pressures up to 60,000 psi. Light weight and Self Contained.